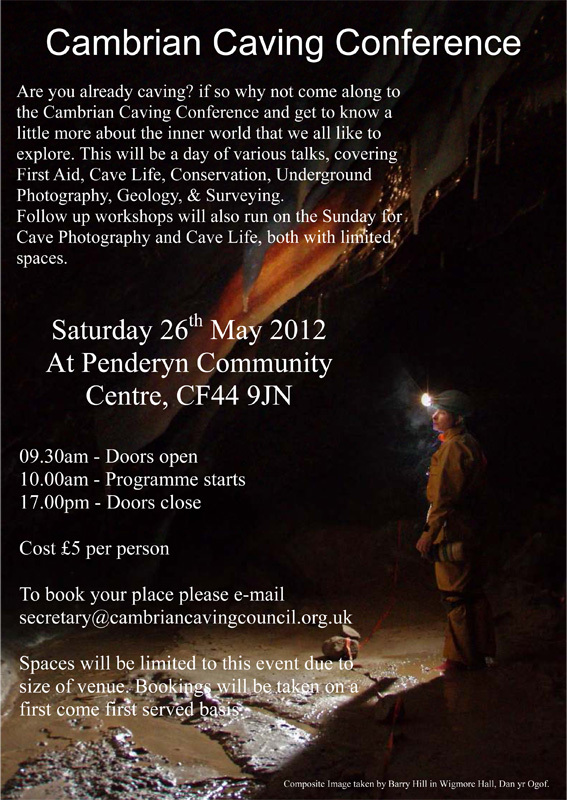 The Cambrian Caving Council is organising a Conference on Saturday 26th May, primarily aimed at cavers who would like to know a bit more about the inner world in which we explore. 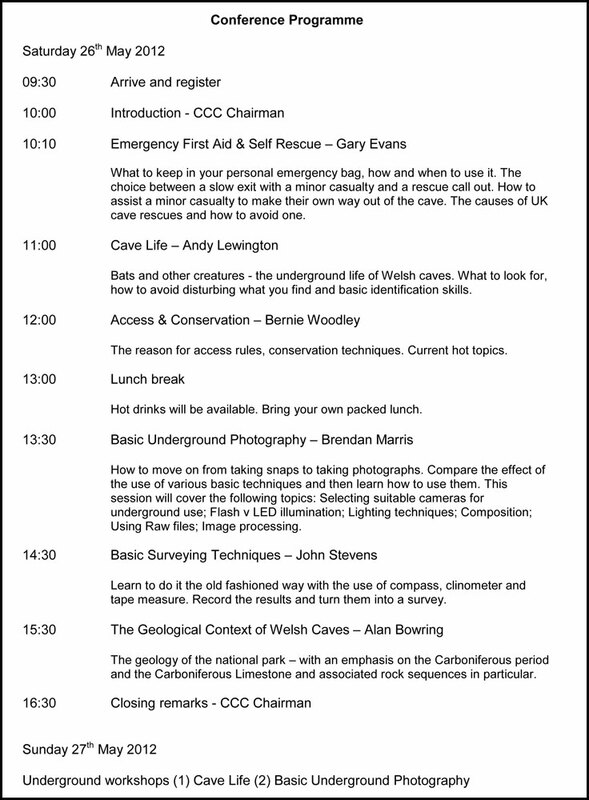 The Saturday will be a day of various talks including First aid, Cave Life, Conservation, Geology, Surveying and Cave Photography with some follow up workshops on the Sunday. Places are limited due to the size of the venue, so if this would be of interest to you then please book via the e-mail address on the poster below. Bookings will be taken on a first come first serve basis. Cost will be £5 per person. Programme has now been finalised.